This is a guest post by Jason Conroy. Jason works at Prospress Inc. where he helps WooCommerce store owners sell more subscription products, automate their marketing, and ensure their stores are always running smoothly with automated checkout testing. 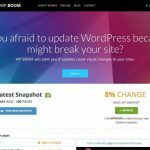 The article Confidently prepare your online store for WooCommerce updates appeared first on Sell With WP.